According to reporting from the Holland Sentinel, Three Daughters Brewing — a family owned brewery based in St. Petersburg, Florida — has filed a trademark infringement lawsuit against Saugatuck Brewing Company. Headquartered in Michigan, Saugatuck distributes its products at locations across the country, including in Miami, West Palm Beach, and St. Petersburg. On November 13th, 2018, Three Daughters Brewing filed a claim alleging that Saugatuck’s introduction of its ‘Oval Beach Blonde Ale’ into the Florida market is a trademark violation. Notably, Three Daughters also offers a ‘Beach Blonde Ale’ in the state of Florida, and the company contends that the packaging of both beers are ‘substantially similar’. In its complaint, Three Daughters Brewing focuses on the similarity between the company’s products, and, more to the point, the packaging that is used to sell the beer. The Three Daughters ‘Beach Blonde Ale’ has a white pair of sunglass, with a women’s blonde hair flowing above them on the can. In addition, the can primarily uses a yellow and teal color scheme. After its Florida launch, Saugatuck altered its packaging of its ‘Oval Beach Blonde Ale’. In Florida, the can also has a woman with white sunglasses and flowing blonde hair. While it is certainly not identical, there are some overlapping elements on the packaging. Three Daughters alleges that this is trademark infringement, as the product is likely to cause confusion among reasonable consumers. One of the key factors of this case is that Saugatuck is moving this specific product — its Beach Blonde Ale — into the Florida market. The standard for trademark infringement is that there must be confusion created in the mind of reasonable, relevant consumers. This is why there can be unrelated companies with relevant common names like ‘Tony’s Pizza” in cities all across the country. As long as those businesses are not in the same market, the chances that there will be confusion among consumers is low. That Saugatuck is putting this beer into the Florida market is important because it heightens the number of consumers who are likely to regularly encounter both company’s products. If those consumers believe products are related, or they simply fail to distinguish a difference at all, it could cause damage to the original trademark holder. If a court rules in favor of Three Daughters Brewing in its trademark infringement claim, a number of different remedies are available. It could award damages to Three Daughters, or it could also compel to Saugatuck to refrain from selling its beer until it changes the name or the packaging. 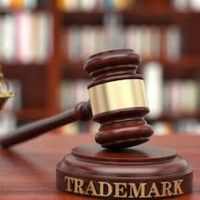 At Pike & Lustig, LLP, our experience Florida trademark law attorneys have deep experience handling all aspects of trademark infringement claims. To get immediate assistance with our case, please do not hesitate to contact us today. We have an office in Miami and an office in West Palm Beach, and we handle trademark infringement lawsuits throughout South Florida.